On July 1st 1867 the Dominion of Canada was created as per the British North America Act of 1867. 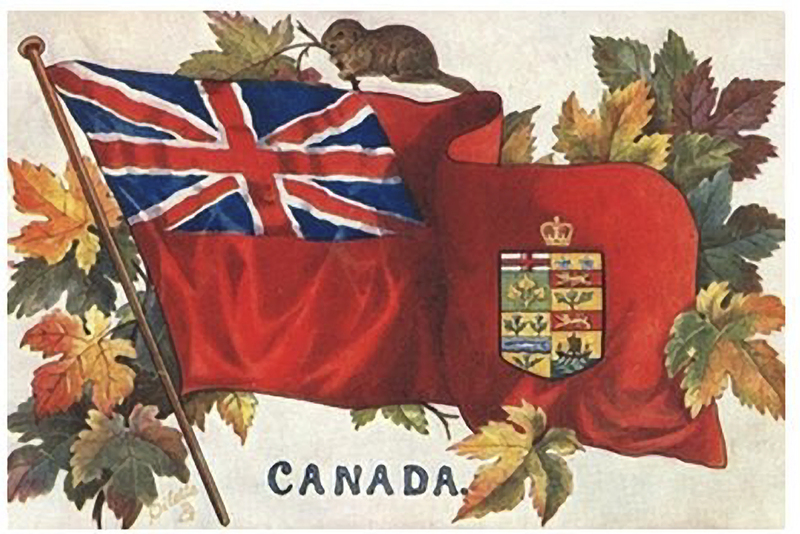 The holiday of Dominion Day was changed to Canada Day thanks to the machinations of anti-British Liberal politicians working without public consent. The name Canada Day doesn't need to be negative and surely we patriots could make fine use of it but sadly that is not why the name was changed. It was done so to loosen ties to our British past. As with the national days of our kindred in the United States, Australia and New Zealand, here in Canada our national day is not looked upon so kindly by a small but vocal minority of "progressives". All of these countries are depicted now as "colonial states" which committed genocide against peaceful aboriginal groups in the name of White supremacy and imperialism. Furthermore they then welcome Chinese well-off hustlers to flood in and usurp jobs from native White workers. Thanks to the ruling elites in the political arena, the universities and, of course, the media, this immensely negative image has taking hold over the popular imagination. I think it is fair to say that many Canadians have not fallen for this propaganda, the simple anti-national day narrative, but with every year it seems as if we have to be more and more critical of our ancestors and the countries they created. On July 1st 2013, feminist Judy Rebick spoke out against Canada Day for the exact reasons laid out above. Apparently it is somehow racist for Canadians to celebrate their ancestry and country but not racist for Idle No More to attack Canada. She sounds like an internationalist socialist who has no time for nationalism, even when left-wing, but then supports Amerindian nationalist movements? The findings of the Truth and Reconciliation Commission (TRC) have only added fuel to the fire. Influenced by their very political report and the views of individuals like Rebick, Killa Atencio wrote in 2015 that she wouldn't celebrate Canada Day because of what TRC's views and because as of yet there is not inquiry into the case of missing aboriginal women. Being against Canada because of a there has been no commission on missing women is patently stupid, as that is something that the government, if anything, should be faulted with, not the very existence of Canada. Plus the commission will not find anything that we don't know already. According to the National Post, 70% of Canadians agree with the TRC that schools were a form of cultural genocide, and that a national inquiry is needed and more aboriginal studies in classrooms; though, as I said before, there is already way too much on this whole topic. If one looks through the comments of the National Post article one will see that already I have been proven correct; many are calling what happened genocide without the prefix cultural. This means that the Canadian nation is sympathetic to the non-White aboriginal ones; no need for anti-White hatred. I think it is fair to say that most on the left disagree with Rebick and Atencio that Canada Day should not be celebrated. However they don't see it as a day to celebrate our European heritage and traditions. Many Canadians views are similar to those of Jessica Barrett who, the day before this last year's Canada Day, wrote about the TRC's findings and of how terrible it was that aboriginals and Whites aren't more connected. "Progressive" minded people like Barrett like to call themselves "allies" and do their best to connect LGBTQ and women to racial and religious minorities to form a broad grievance coalition with no love for the Western tradition or Europeans. For them Canada is not European and its European heritage is of no importance. Their "progressive" values are what are truly important. Any nationalism they are willing to promote is a civic one with no basis in ethnie or deep cultural traditions. Canada Day: Celebrating the Future Faces of Canada! I don't know if Jessica celebrates Canada Day or not, but no doubt her views resonate with a large number of Canadians. Liberals certainly consider themselves to be "allies" of marginalized groups and they would certainly make a big deal about this so as to signal to each other how accepting and tolerant they are. And they would certainly agree with her that the head tax and Komagata Maru incidents were terrible crimes against humanity instead of being part of a wider desire to protect workers and heritage. 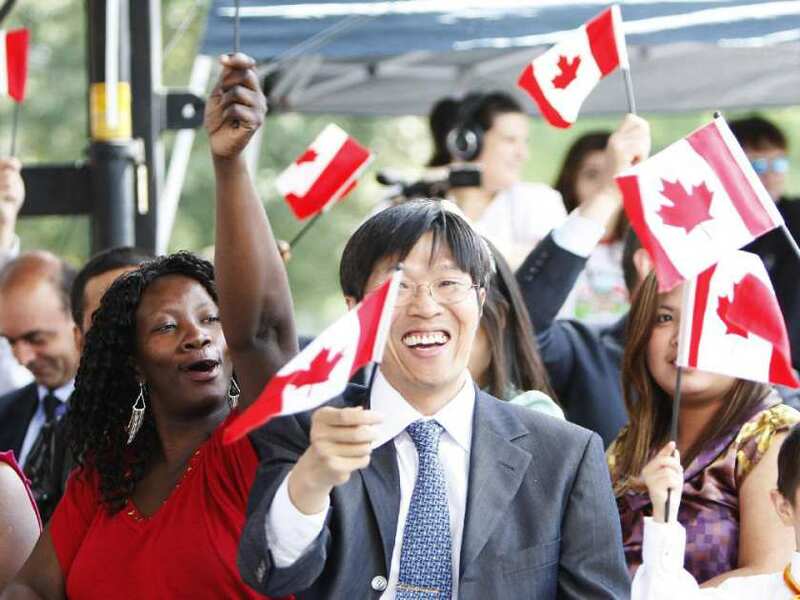 Andrew Woodbury does not attack Canada Day but he does state that the national day "is one of discrimination, xenophobia, and a not-so-removed extension from Anglo, white-speak Great Britain". Apparently it was evil and wrong of Britons to create a country almost exclusively inhabited by their kith and kin and then celebrate that fact. As with Barrett, Woodbury notes the refusal to open our borders to mass Chinese immigration in the 19th century as evidence of some horrible human rights violation. The article also has a seemingly compulsory attack on Stephen Harper despite the fact his government is very supportive of non-White immigration and multiculturalism. He is not the crusader for White rights the left imagines him to be. "This [Canada] is a place where you can be who you want to be and love who you want to love." "Canada has always been there to help people who need it." "For over a century, people have been coming here [Ontario] from every part of the world to make a better life for themselves and their families. As they have pursued their dreams, they have enriched this province, and our country. Now, all of these diverse peoples live together in harmony." "As a Canadian and a member of the LGBTQ+ community, I know that I can use my voice to speak out against hatred, racism and homophobia, and that my voice will be heard." The left's job will never be done because they fail to note that reason people stick with their own kind is because that is what is normal and natural. Moreover multicultural societies are more likely to be segregated. Nor do they care to tackle ethnocentrism amongst non-Whites. Clearly such people hate European countries such as Canada. "Move over Whitey: Leftists told us we are the Progressive Ones!" The "progressive" cause is taken up by ageing boomers stuck in the past and impressionable young people who don't know any better. In my experience women are the most likely to fall for such nonsense; sad how the left has been able to manipulate the caring nature of women. 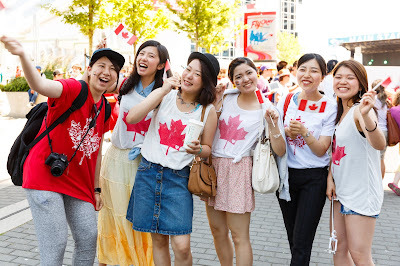 For this growing segment of the population, Canadians and Canada are meant to be bland, plastic and whatever the liberal elite wishes them to be. Dominion Day became Canada Day so as to downplay our British connections and now thanks to left-wing "progressivism" our national day is not meant to reflect our Western heritage in any way shape or form. It seems Canadians (and Australians, Americans and other Europeans) are only meant to look at the past with guilt and shame. We can't even have one day of the year to celebrate our beginnings. That is until more people wake up and say "enough is enough!" to the narrative being imposed upon them, which recent events in Europe and America seem to suggest.